Are you looking for a place to ring in 2014 besides your living room watching the ball drop in Times Square? Whether you are looking for a date night or an evening with the family, Hendricks County has visitors and locals covered with a variety of New Year&apos;s Eve events for the public. Here’s a look at my Top 5 choices, but this is by no means a complete list of every party in Hendricks County. Masquerade New Year’s Eve Party at Chateau Thomas Winery – One of the biggest parties in Hendricks County be found at Chateau Thomas Winery in Plainfield. Start your evening at 6 p.m. across the street at either The Staybridge Suites or Holiday Inn for a reception of wine and hors d’oeurves. 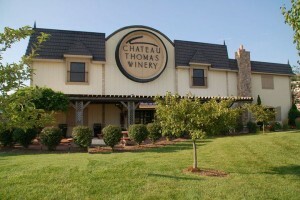 Then, walk over to the Chateau Thomas Winery for dinner and dancing along with live entertainment. At the end of the evening, a light breakfast buffet will be served. This package starts at $315 per couple and includes an overnight hotel stay, dinner, a bottle of wine and a breakfast buffet on New Year’s Day morning at your hotel. Reservations are required and can be made by calling (317) 837-9463. The Dog House Sports Bar – Celebrate 2014 at The Dog House Sports Bar in Brownsburg. The Big Time will provide entertainment and you will enjoy party favors, a champagne toast and a breakfast bar. Tickets are $10 at the door. 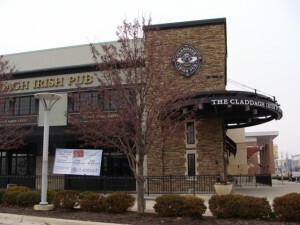 Claddagh Irish Pub New Year’s Eve Party – Celebrate New Year’s Eve at the Claddagh at Metropolis in Plainfield. The evening kicks off at 9 p.m. and lasts until 1 a.m. Enjoy live music by Jason Burke & Benito. New Years Eve Family Night Party at Brownsburg Bowl and Sunset Bowl – Spend New Year’s bowling with your family. Both the Brownsburg Bowl and The Sunset Bowl in Clermont invite you to enjoy two hours of Kozmic Bowling. For families who don’t want a late night, enjoy bowling at 7:15 p.m. If you want to end the night ringing in the New Year, you can choose to start bowling at 10 p.m. Tickets are $59.95 and include up to six people per lane, up to four shoe rentals, a two-topping pizza, pitcher of soda and party favors. For reservations, call the Brownsburg Bowl at (317) 858-0388 or the Sunset Bowl at (317) 291-5333. Family New Year’s Eve Party at Hot Skates (formerly Rock N Rollers) – Ring in the new year skating with your family. 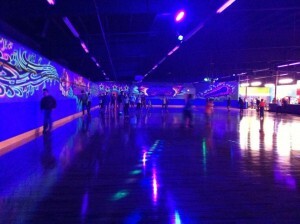 Hot Skates in Avon is hosting two parties. One for those who don’t want to stay up late and another that will end in 2014. Early birds can enjoy skating from 5:30-8:30 p.m. If you want to ring in the New Year while skating, the party is 9 p.m.-12:30 a.m. Both parties are $10 per person and include admission and skate rental. If you know of a great public event I&apos;ve left out, please share it with us in the comments section. Happy New Year!